Keys are either; brass, nickel silver, or nickel plated. Only when it is noted that it’s finish is steel or aluminum. Keys are from one of these manufacturers; Ilco, Taylor, Dominion, Silica, Cole, Curtis and others. Keys may also have come from a locksmith shop and is stamped. 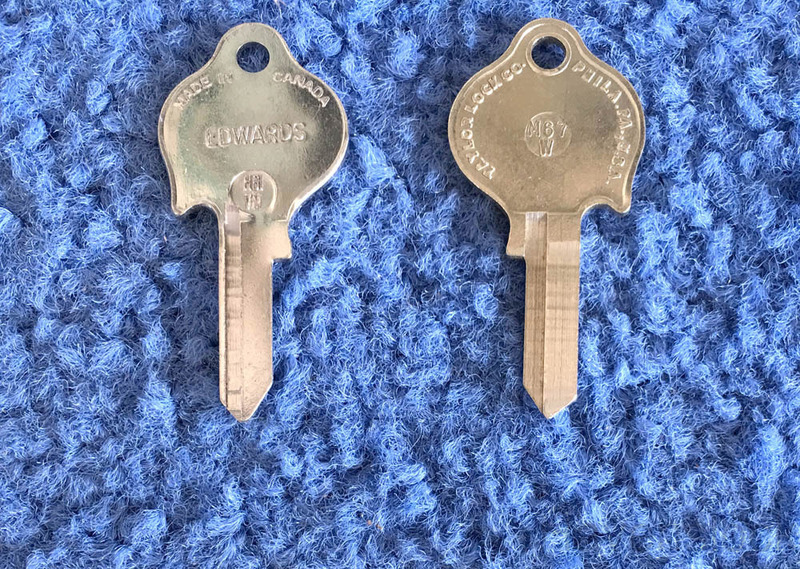 Keyway of the key will be correct regardless of the brand or bow of key design. Number on key may be different from what is shown on the key. These are key blank and are uncut.